Home Events 25 September New Zealand's first grapevines planted? New Zealand promises to be very favourable to the vine, as far as I can judge … Should the vine succeed, it will prove of vast importance in this part of the globe. 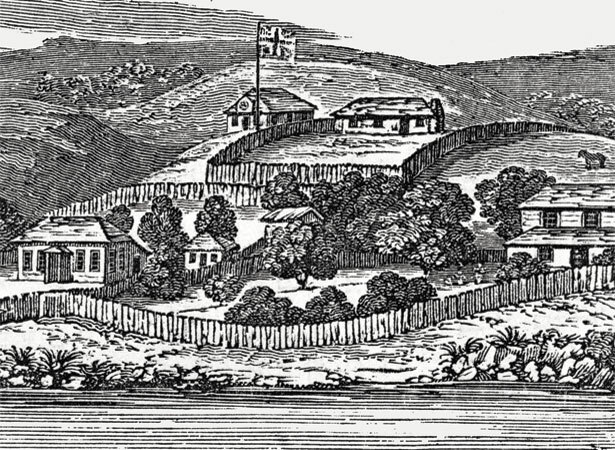 Marsden’s vineyard is generally considered the first planted in New Zealand, although the CMS superintendent of agriculture, Charles Gordon, may have planted vines at Rangihoua and Waitangi as early as 1817. While Marsden may not have been New Zealand’s first viticulturist, his belief that the country would prove ‘favourable to the vine’ was well founded. By 1840 British Resident and wine enthusiast James Busby (see 6 February, 20 March, 28 October) was producing early vintages from a vineyard he had planted at Waitangi in 1833. From 1839 Roman Catholic brothers from the Society of Mary (Marists) produced wine from their Whangaroa vineyard for sacramental purposes. When they moved south to Hawke’s Bay, they established Mission Estate in 1851. This remains New Zealand’s oldest surviving winery. We have 7 biographies, related to New Zealand's first grapevines planted?. RELATED TO NEW ZEALAND'S FIRST GRAPEVINES PLANTED?